I am going to try to post some type of "how-to" advice every Thursday. I say "try" so that until I get this into my routine, you will be patient if I miss a week here or there. Thanks in advance! This week's tip is an idea for getting past a creativity block. I always have a hard time getting started with a new project. I like thinking up new ideas and designs, but to actually put that idea onto a glass is intimidating at times. The biggest concern is "what if no one likes it"? Thankfully I have family and friends who help me push past this stage and still love me anyway! My current dilemma is that I have wanted to get started on my designs for toasting flutes for weddings. I'm a hopeless romantic at heart and my first big sale was for a bride who wanted the water glasses on the guests' tables to be their "thank you" item. I painted 150 wine glasses with white roses (similar to this photo) and the couple's names. It was a neat feeling to drop off all those boxes to her house and see her excitement as she inspected them! But each wedding is as unique as the bride and groom. Traditional or modern, casual or formal, an intimate few or a large party...the choices are endless. Where does one start without a couple to give them direction? I was looking at Web Designer Depot's advice for designing a logo for your business when I realized the answer. The first step to create a new design is to go to the drawing board! Just as a writer will have several rough drafts before arriving at the final product, the same holds true for any other artist. So, I traced the champagne flute shape onto about a dozen pieces of paper and started sketching. Believe it or not, this went on for several days! 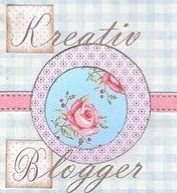 I thought about themes, seasons, holidays and non-traditional ideas. And from all those sketches, I found a couple that had potential. 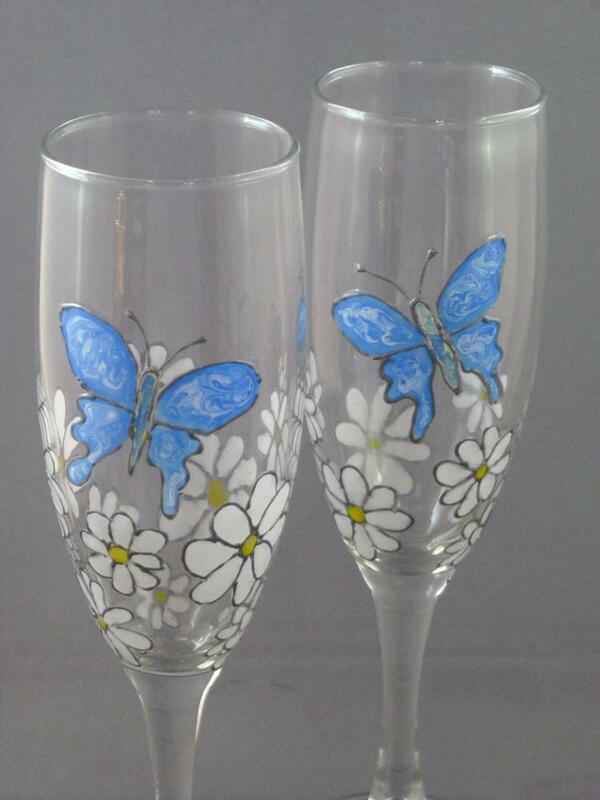 The butterfly flutes pictured here are part of my spring collection and can be customized with the couple's names and their special day. 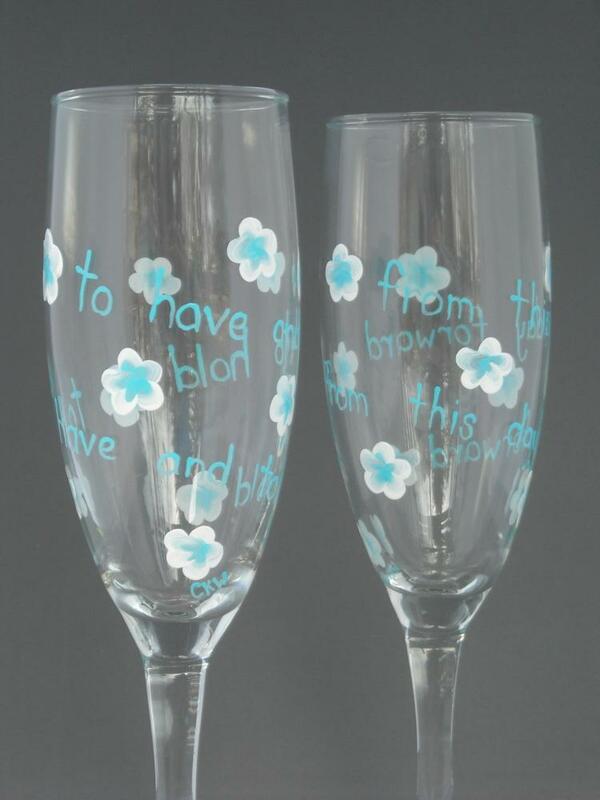 I am especially proud of this set of champagne flutes. 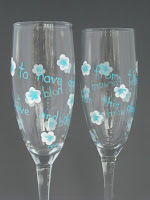 The glasses say "to have and to hold" and "from this day forward." Delicate flowers add visual interest to the design. 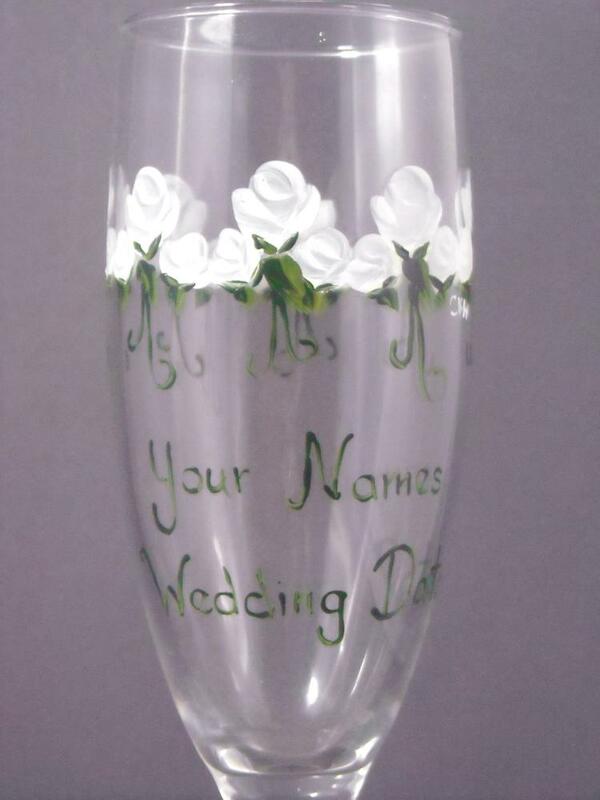 Easy to customize with different colors, a bride has a fantastic keepsake from her wedding day. Don't get stuck in a rut! It's all about trying something new. 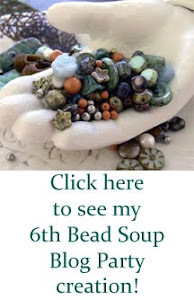 Take your sketch book out into the woods or down to the beach or onto your back porch and see what grabs your eye. Try pairing different colors together and see where your creativity takes you. Above all, don't give up! Great post & ideas! Have to go hunt up my sketchbook! Rachel-Glad you like them! They make a really unique anniversary gift...Thanks for passing my glasses along to your friends.